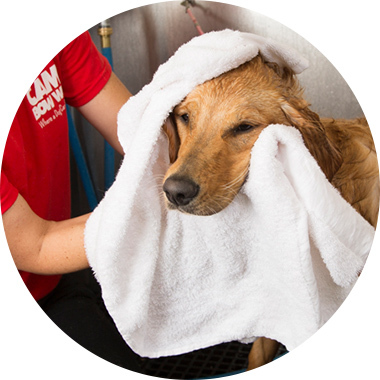 Contact us at (412) 885-2267 to learn more about our dog grooming services. Up to 20 lbs. Bath, Brush, Blow Dry, Nails Trimmed, Teeth Brushed & Bandana. 21-79 lbs. Bath, Brush, Blow Dry, Nails Trimmed, Teeth Brushed & Bandana.